Oklahoma Connection | McDaniel was President of Oklahoma City University. In 2004, Tom McDaniel was named Friday newspaper’s OKCITYAN of the Year and, in 2005, was honored with the Oklahoma City Plaza District inaugural “Urban Pioneer Award” for his work in the central city. Tom McDaniel became the sixteenth president of Oklahoma City University, a position he held from 2001 to 2010. The construction and dedication of the Meinders School of Business, the Wanda L. Bass Music Center, the Ann Lacy Visitors and Admissions Center, and the Norick Art Center all occurred during his tenure. The capital improvements were part of a successful $100-million centennial development campaign which doubled the university’s endowment and allowed the creation of new academic programs in nursing, dance and film, as well as new athletic programs in rowing, wrestling, and volleyball. Prior to coming to Oklahoma City University, McDaniel served as president of Northwestern Oklahoma State University in Alva, becoming the first and only graduate (1960) of that school to serve as its president. McDaniel, who has a law degree from the University of Oklahoma, College of Law (1963), has served in the past as administrative director of state courts in Oklahoma and as vice chairman of Kerr-McGee, where he also was a member of the board of directors. He is a former state chairman of the Oklahoma Fellows of the American Bar Association and served as chairman of the board of trustees of Columbus Elementary Enterprise School, Oklahoma’s first charter public school. 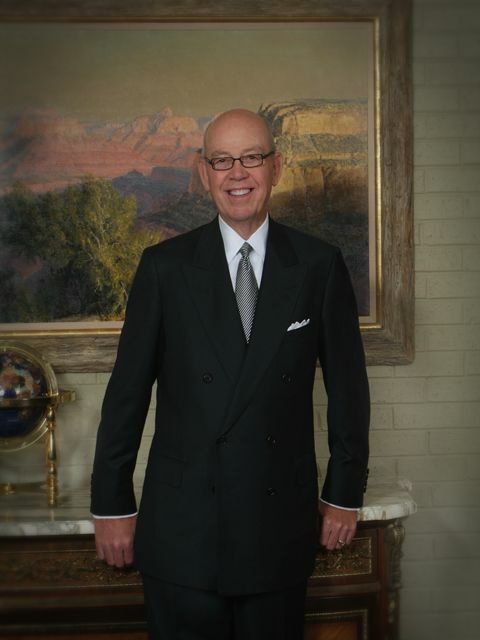 Tom J. McDaniel became president of the American Fidelity Foundation on September 1, 2011, after having served as president and chancellor of Oklahoma City University from July 1, 2001 to July 2010. McDaniel is active in the community, serving on numerous boards and commissions and currently serves as Chairman of the Citizens Advisory Board for the Maps III projects. McDaniel and his wife, Brenda, were selected 2010 “Treasures of Tomorrow” by the Oklahoma Health Foundation. Among his recognition, he was recently named Oklahoma’s Most Admired CEO in large non-profits. In 2006 he was inducted into the Oklahoma Hall of Fame. See pictures of Tom J. McDaniel and other media HERE.